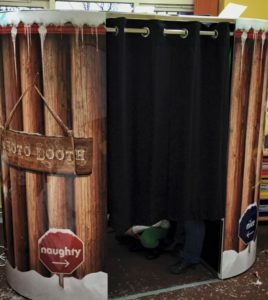 Hiring a photo booth for your Christmas party is a fantastic festive way to really compliment your Christmas celebration! 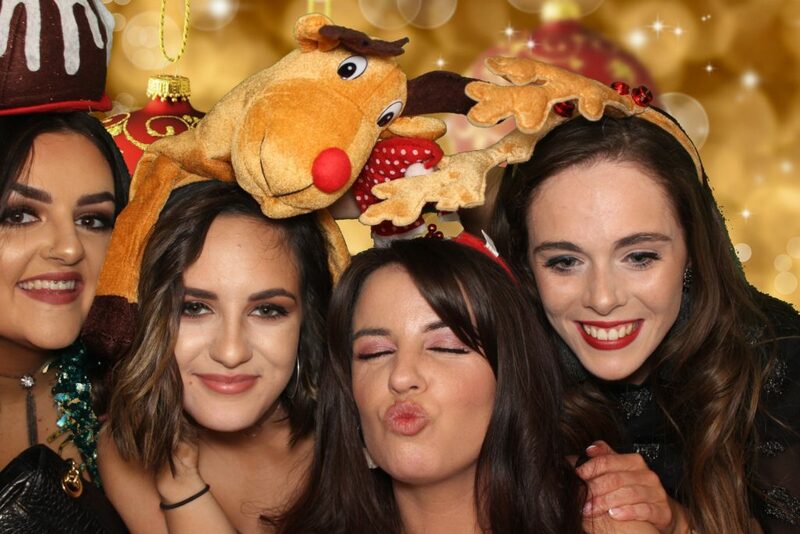 Our Christmas themed photo booths and festive props help capture candid moments from the office party of year! The ultimate memory of the best Christmas party night will be all the photographs taken in the booth. With our green screen technology we can theme the backgrounds of your prints with Christmas or Winter Wonderland themes. Print templates will also be themed and you can add a festive message and a company logo. Guests can upload photos taken on their phones to our slide show screen that will be displayed throughout your celebration. Your guests only need their phones & we supply everything else to create a TV slide show of your guests photos for guests to view during the drinks reception, meal or evening celebrations. We can even print the photos so that your guests get a printed memento! * 1 customised festive print of each uploaded photograph with your personalised message and logo. Go on, you know you want us at your Christmas party! Click the button below to enquire about how we can add fun to your festivities.